Anyone who remotely cares about their car, needs to watch this! Just watch this...seriously just watch it. Video will speak for itself. Re: Anyone who remotely cares about their car, needs to watch this! Fram used to be the filter choice for a lot of people I know. That is some pretty scary stuff. The argument could be made that perhaps the Fram warehouse is in an area (Louisiana or similar) with high humidity and moisture, which may have contributed to that rust, while the others may have been shipped from elsewhere. Unfortunately, since I live in one of the worst areas on the planet for rust, this is a seriously big deal for me, and I can pretty well guarantee that I won't ever see an orange filter in my Jeep. Thanks for sharing. This is pure ridiculousness. Yes...count me in the formet Fram court. I've been using Mobil 1 for quite a few years now, both oil and filters. I think the extra cost of premium maintenance products offsets the repair costs over the long term. I also don't skimp on tires or batteries. The old saying 'you get what you pay for' has always served well for me. Good stuff MMR! Once the oil contacts the rust, it becomes a non-issue. The cardboard is just of the way it is manufactured. I don't think it is going to hurt the car. By all means, by the premium filters, but the budget filter is still fine for us high-pocket cheapskates. I've always used Fram oil filters and cheap oil in my 2002 Ford Escape. 171,000 miles and the engine purrs like a kitten and doesn't burn or leak oil. When I was younger, I thought Fram was a quality filter. No longer. I have seen them sold at “Biltema” a few years back. I wouldn’t want tiny particles of rust or cardboard running through my engine, I can imagine that cardboard would dissolve over time. Especially on modern engines with VVTI and other modern gizmos that have tiny oil passages that would easily get clogged up. Maybe on an older engine this isn’t a problem, but take most modern European cars and they pretty much explode every time a dust particle gets anywhere near a sensor..
...well maybe not explode, but go into “limp mode” or shut down completely, leaving you stranded by the side of the road waiting for a tow truck for 6 hours..
...something Jaguar owners would be all too familiar with. As long as the filter has the ability to trap it's own contaminants? Good video and food for thought! Just sold a wonderfully running 1990 Chevy AstroVan with 312,767 miles. I used it for locksmithing services since 1990. It survives on a diet of Mobil1 full synthetic oil and Wix filters. I tested the oil frequently with Blackstone to ensure oil and engine conditions. Atleast now we know they are crap. That makes sense. Thanks for the information, MMR! The 3.0 DuraTec, designed by Mazda and Ford, is a very robust design with few sensor limitations in place. I've let the same oil gp twice the recommended service time before. Not bade for a 200hp compact SUV. But, that said, if the motor has tiny tolerances(as MMR noted) it could be an issue in theory. Those Fusions are quite rare these days. I have had two Mondeos, one estate and one sedan, estate had the same V6 as we were talking about and the sedan had a 4cyl Turbo Diesel. They are great cars, drive really nice and they are easy enough to do most maintenance on yourself, plus they are everywhere over here, so parts are widely available and they can be found pretty cheap too. If I am not mistaken the 4th / Current gen mondeos are the same is the current US Ford Fusions, with the exception of having estate and diesel engine options? ...Don't you have the option of a AWD Turbo V6 in the US too? Sheeesh, wow, that Euro Fusion. There is the Titanium AMD Fusion, which seems to rank very well in the AWD categories. It looks like it is available with a 325hp V6. Thank you for the information, MMR. 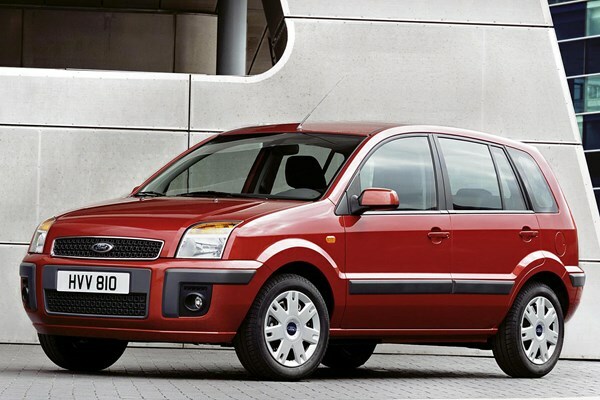 If I need a new car, the Mondeo(Fusion for me) would be in the running. 325HP Turbo V6 with AWD? The only common problems that I am aware of with the US fusion Both the one I had and the facelifted version (So 2006-2012), is the blower motor for the A/C and heating system tends to wear itself out, and both V6 and 4Cyl models have a weak by design motor mount called "dog leg" motor mount. But both are no real big issues. The blower motor is located below the glove box and is easy to replace yourself, If my memory serves me right; it's just held in with 4 screws (one in each corner) and you can find replacements on eBay for like 30 Dollars. So no big deal. It's 120 dollars and then the problem is solved once and for all. It is possible to swap yourself, (I did mine myself) but it's can be a bit of a PITA because of the exhaust being in the way. Thank you very much, MMR! My dad told me to stay away from Fram when he was teaching me to drive. That was early 60s, looks like they have been hooking folks for a loooooong time.